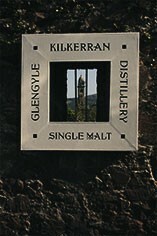 Glengyle whisky distillery was opened in 2004, making it one of the very newest distilleries in Scotland. However, it is not entirely original, and is built on the site of and using some of the buildings of the old Glengyle distillery, which operated between 1872 and 1925. 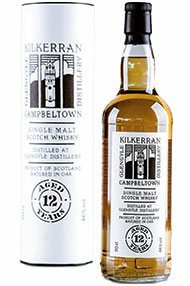 Due to its youth the only Glengyle whisky currently available is aptly named the Kilkerran ‘Work In Progress’; the distillery aims to release its first official batch around 2012. The name of Glengyle’s whisky is Kilkerran, due to the fact that the distillery does not actually own the rights to the name Glengyle: this right belongs to the Loch Lomond distillery. 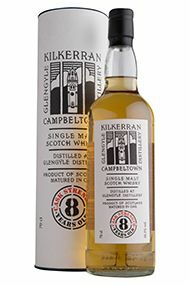 The name Kilkerran was chosen due its apparent suitability for a Campbeltown malt; it is unusual for whiskies outside of the Speyside region to bear ‘Glen’ in their names. In the glass, oak notes are dominant, followed by toasted marshmallows and dried fruit pudding, as well as cherries, marzipan and a hint of peat. Initially fruity to taste with citrus notes and orange peel, the flavour evolves to vanilla, butterscotch, honeycomb and digestive biscuits. To conclude, there’s an oiliness and a saltiness that you’d expect from a Campbeltown dram.